The B5 is changing the way wireless is done. The B5 leverages 802.11ac, 4x4:4 MiMO and excellent engineering for service providers that demand the same capacity, speed and reliability as fiber. With 1.7 Gbps PHY and a unique spin on reliability, the B5 is redefining gigabit wireless technology. 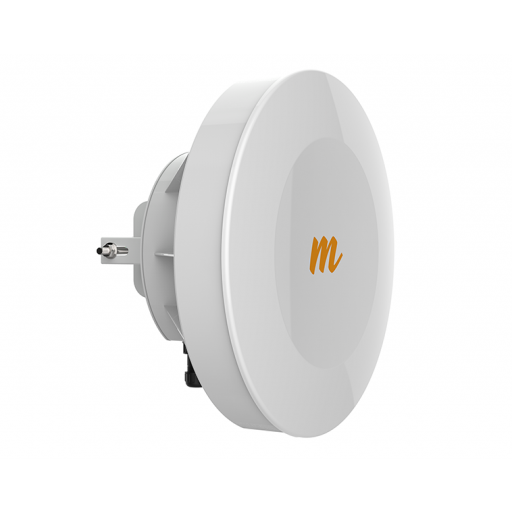 The B5 is capable of 1Gbps throughput, a low 2ms latency and has an integrated dual-polarized antenna with 25dBi of gain. Ready to handle the next wave of 5GHz, the B5 is operational from 5150-5850 MHz. The B5 brings with it an entirely new set of features never seen before in the outdoor wireless market.